Sen. Michael Bennet is facing criticism for canceling a scheduled debate against Republican challenger Darryl Glenn with the Pueblo Chieftain, the latest forum the Democratic incumbent has backed out of. Steve Henson, managing editor of the Pueblo Chieftain, called Bennet’s excuse for cancelling the Oct. 20 forum "ridiculous and an insult to Southern Colorado." One of the most important things a candidate for elected office can do during the campaign is face his or her opponent in public forums/debates. It allows voters to directly compare the positions of the candidates on important issues, and to also see how the candidates operate under fairly significant pressure. That’s why The Chieftain, for more than 35 years, has sponsored public forums each election year. I’ve moderated most of those events, several hundred of them, ranging from Pueblo City Council and local school boards to governor, the U.S. House and U.S. Senate. Unfortunately, this year, we will not have a U.S. Senate forum between incumbent Michael Bennet, a Democrat, and his Republican challenger, Darryl Glenn. And the reason is that the Bennet campaign has refused to find a date that will work. Henson said the paper worked for months finding a date for the forum and settled on the Oct. 20 date, which the Democrat’s campaign said "looked good." However, last week the campaign said the date would no longer work, and would not reschedule. "I’m sorry, we just can’t fulfill every request and won’t be able to make this one work," Bennet’s Press Secretary Alyssa Roberts told the paper. "Allow me to comment: That’s ridiculous and an insult to Southern Colorado," said Henson. "If the campaign really wanted to, it could have committed to Oct. 20 early on if it had considered it important enough. But, obviously, it didn’t and either scheduled another event or simply doesn’t want to participate in forums with Glenn." Henson said Bennet’s refusal to attend sends a "strong statement" about how important Southern Colorado is to the campaign. "By deciding that a forum in Southern Colorado wasn’t a priority, by deciding that some other event crossed Pueblo and Southern Colorado off the list, the Bennet campaign made a pretty strong statement about how it feels about standing up and defending oneself in a public event, and a pretty strong statement about how the campaign regards this part of the state." The Pueblo Chieftain forum is not the first debate Bennet has reneged on. Last month, his campaign said he would not attend a scheduled debate with CBS4. While his opponent Glenn did not agree to a debate hosted by the Denver Post, the Glenn campaign says Bennet has declined six other invitations to debate. 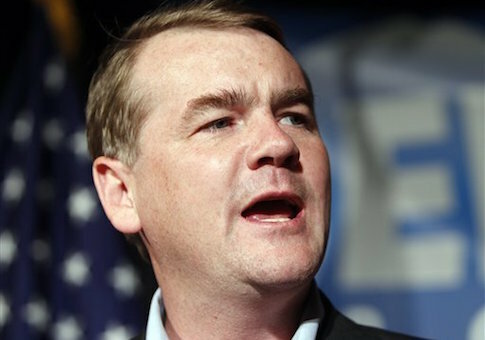 "Michael Bennet refuses to debate me because he’s running from his record," Glenn said in a statement. "He has a record that’s bad for Coloradans: he voted for the Iran Nuclear Deal— still thinks it’s a good deal— and he voted for Obamacare, which has led to skyrocketing premiums and less choices for Colorado’s families." "Unlike Michael Bennet who spends all his time in Washington, I’ve been visiting with Colorado families from Grand Junction to Fort Collins to La Junta and have heard firsthand about the devastating consequences his votes have had for Coloradans," he said. The Bennet campaign said they are "moving forward with our campaign schedule" and that Bennet "had already debated at Club 20, at the Colorado Water Congress, the Colorado Geographic Alliance and the United Veterans Committee." These events, except the debate hosted by Club 20, did not feature the candidates together on stage at the same time. The Pueblo Chieftain said Glenn has agreed to appear in a town hall event hosted by the paper, but added, "Too bad it will be a one-man event." This entry was posted in Politics and tagged 2016 Election, Darryl Glenn, Michael Bennet. Bookmark the permalink. Elizabeth Harrington is a senior writer for the Washington Free Beacon. Elizabeth graduated from Temple University. Prior to joining the Free Beacon, she worked as a staff writer for CNSNews.com. Her email address is elizabeth@freebeacon.com. Her Twitter handle is @LizWFB.